Glasgow City Council has provided a first look at what a bridge being dubbed as the “street in the sky” could look like as it seeks to provide better links to the city centre. Images show how the proposed pedestrian and cycle bridge over the M8 motorway would connect communities in north Glasgow to the centre with the scheme hoped to play a vital rolein the £250million Sighthill Transformational Regeneration Area. If planning permission is successful then it would replace the existing bridge and span just over 58 metres with its width varying between 20 – 7.5 metres. It would weigh nearly 2,500 tonnes and its structure would be reinforced concrete composite desk slab. Plans also provide various landscaping opportunities on both the northern and southern approaches with new civic spaces allowing for larger areas to walk and cycle through. If given the green light then construction of the Jacobs designed bridge is scheduled for the middle of next year, with completion pencilled in for summer 2020. Susan Aitken, leader of Glasgow City Council and chair of the Glasgow City Region City Deal Cabinet, said there needed to be a new perspective on the definition of a city if leaders wanted to ensure they achieved more balanced and inclusive communities. “This new bridge will form a gateway to both Sighthill and the city centre,” she said. “For far too long, neighbourhoods just on the periphery of the city centre have been forgotten or abandoned. Sighthill has typified this neglect, cut off from the heart of the city by the M8. 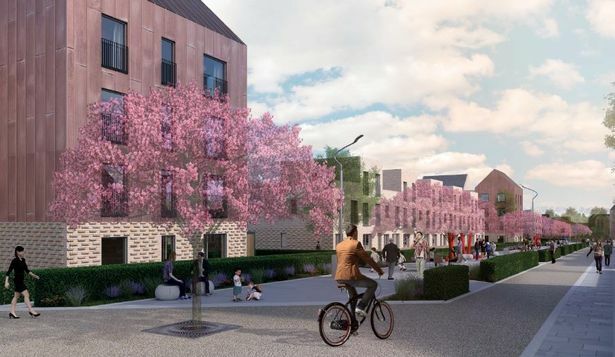 But its regeneration will deliver a new neighbourhood within a short walking or cycling distance from the city centre, creating new communities along the Canal Corridor and delivering for the people and economy in the north of Glasgow." The wider Sighthill Transformational Regeneration Area which the bridge is set to be a landmark part of consists of 50 hectares of land with around 1,000 new homes due to be built. A new community campus school is also planned along with a new public square and a new road bridge over the Glasgow-Edinburgh railway line.